iOS 8.4.1 final build IPSW for iPhone, iPad and iPod touch is now available to download. We have the direct download links for the firmware files as well. 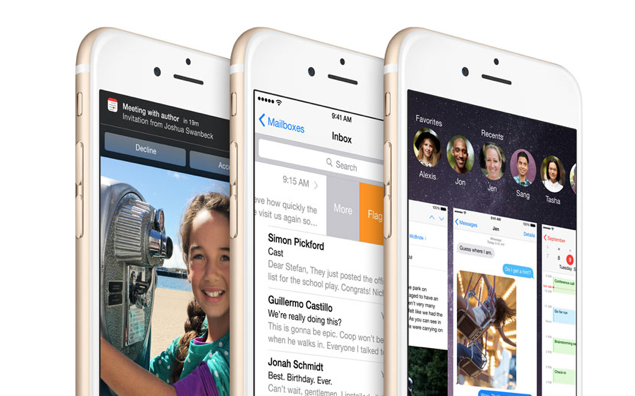 Right on cue, Apple has released the final build of iOS 8.4.1 to iPhone, iPad and iPod touch users around the globe. And as you glance at the changelog straight away, you’ll realize that this update is a mere bug fix and performance enhancing release – nothing more. 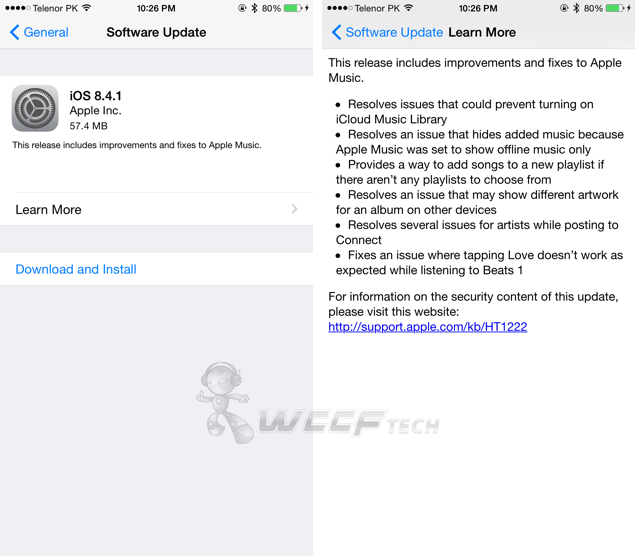 First of all, the update aims to fix an issue where iCloud Music Library would not turn on for some users. So if you’re a fan of Apple Music and make good use of iCloud Music Library, then this is golden news for you right here. Furthermore, this update also fixes an issue in which your music would dramatically disappear just because Apple Music was set to show offline tracks only. Apart from that, you can check out the complete list of changes in the screenshot we have added below. As you can see, all the changes are related to Apple Music and Beats 1, so users shouldn’t expect way too much from this release. There are two routes you can take to download the new iOS 8.4.1 update right away. You can either choose to download the IPSW file directly for your device and restore using iTunes, or you can download iOS 8.4.1 as an OTA update. Simply navigate to Settings > General > Software Update to grab the OTA right away. It’s a mere 57.4MB download – more or less depending on your device – and will only take a handful of minutes to download and install. And we urge all users to update away as it brings with it important bug fixes. Rest of the users can grab the IPSW files from below.